Our friend Anette Wachter (aka 30CalGal) is profiled this month on the NRA Family website. Annette talks about how she got into the shooting sports (though a challenge from her ex-husband), and how she has advanced along the way. She is now one of the top female Palma shooters in the nation. She also now competes regularly in Precision Rifle matches — tactical style competitions. She enjoys the challenge of PRS events, and she also competes in 3-Gun matches, with pistol, rifle, and shotgun. Anette writes about the shooting sports for many publications. She also offers tips and gear reviews through her popular website, 30CalGal.com. NRA: What type of shooting do you do, and what makes you like it so much? Anette: Mostly long-range rifle disciplines. I don’t shoot High Power much anymore, but of course I am on the U.S. National Rifle Team and the Palma Team, so that occupies much of my time. My new love is Precision Rifle. This is the new hot and trendy shooting sport that is taking over the industry. It is like a sniper challenge. All unknown distances and usually the matches are out in the field. I also compete in 3-Gun, which is a ton of fun. NRA: What advice do you have for new shooters who want to get into these sports? Anette: If you want to get in to any discipline of competition I always suggest going to a local match to watch first. With the Internet you can find out your state competition information. Look for local organizations like the USPSA. See the type of equipment shooters are using and how the sport is run. Ask a lot of questions. Shooters are a very generous culture as well, in my experience. When I started out I was loaned almost everything to try it out. NRA: From what you have seen, are there a lot more women getting involved in the shooting sports these days? Anette: I started shooting and competing in 2006. I remember going to NRA Nationals at Camp Perry and, out of almost a thousand competitors, I was one of maybe 20 to 30 women. At local matches I would be one of two. In the past five or six years and especially in the last three, I have seen the numbers jump like crazy. Three years ago a few women in the 3-Gun market decided to put on the first Ladies 3-Gun ProAm in Georgia. We were wondering if anyone would show up. Over 200 women competed. Any of us that had extra guns and equipment were loaning them out. For many of the women it was their first match ever. It changed lives. Along with being a talented competitive shooter, Anette has her own Gun Blog, 30CalGal.com, and she writes for several gun publications including GunUp Magazine, Shooting Sports USA, Sure Shots Magazine, and Wide Open Spaces. She also designs and crafts custom jewelry items, many of which utilize cartridge cases or other shooting-themed components. You can purchase Anette’s jewelry through her AW Collections webstore. Share the post "Profile of Anette Wachter, aka the “30 Cal Gal”"
Based on my previous excellent experiences, I selected Bartlein barrels for this rifle. When shooting internationally in the Palma matches we are restricted to 155 grain .308 bullets, but I made the unusual choice of a 1-10″ twist for these bullets. I’ve shot this fast twist for some years with the 155s with good success and it’s pleasing to know that Bryan Litz is finding benefits in some cartridges to shooting faster twist rates than we previously thought we needed. The load is Vihtavuori N140 Powder with Berger 155gr Hybrid bullets. The chamber is the 2011 Palma and the barrel is a Light Palma contour finished at 32” length. The barrel was cryo-treated by 300 Below. The point of impact isn’t changed at all by barrel heating and the accuracy is incredible regardless of the temperature of the barrel. This can’t be said of all the barrels I’ve owned. Share the post "John Whidden Wins 2017 NRA Long Range Championship"
The Berger Southwest Nationals (SWN) kicked off with a two-day shooting clinic held Monday and Tuesday, February 6-7, 2017. Competition at the Ben Avery range begins with a 600-yard Mid-Range Match on Wednesday, followed by long-range matches Thursday through Sunday. Three classes of competitors will be on the firing line: Palma (.308 Win sling), F-TR, and F-Open. This is one of the most popular matches of the year, drawing competitors from around the nation (and a few foreign countries). The Berger SW Nationals event has become the premier long-range match of the year in the Western United States. This prestigious rifle competition, hosted at the Ben Avery Shooting Facility, outside Phoenix, Arizona, draws the nation’s top F-Class and sling shooters. 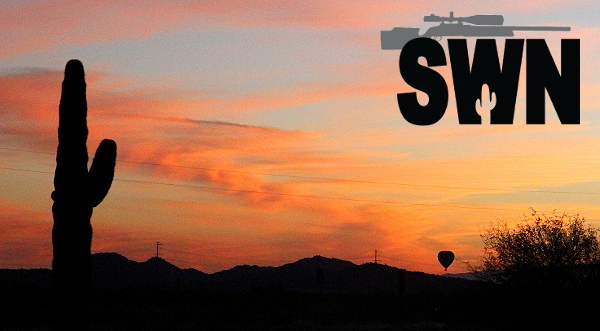 Over 360 shooters have already registered for the SWN. Shooting Clinic: Two-Day clinic includes instruction in both classroom and live fire settings. Instruction will start at 9:00 AM. Mid-Range Match – Three, 20-shot matches at 600 yards. 4-Man Palma Team Match – 15 shots for record at 800, 900 and 1000 yards. Individual Palma Match – 15 shots for record at 800, 900 and 1000 yards. Share the post "Berger Southwest Nationals Event Starts with Shooting Clinic"
In this video, Anette Wachter (the 30CalGal) offers tips for shooting from bipod. I have found that a lot of my success in competition has come through what I call a ‘mental rehearsal’. I actually visualize every stage of the match and I visualize the success of the match and winning the match. I actually visualize that round going downrange into the target, and the target coming up with a dead-center ‘X’. I visualize this over and over. If you visualize success you will achieve success. Visualization is a process of mental preparation that is done before you get to the range. Many of the greatest shooting champions have used this technique to get ready for big matches, and to optimize their performance during record fire. If you want to enhance your “mental game” through pre-match visualization, we strongly recommend Lanny Bassham’s book, With Winning in Mind. As a competitive smallbore 3P shooter, Bassham developed a mental management system. Using this system, Lanny Bassham won 22 world individual and team titles, set four world records, and captured an Olympic Gold Medal in Montreal in 1976. His techniques have been embraced by professional and Olympic athletes in many sports. With Winning in Mind covers a complete system of “mental management” techniques used by Olympians and elite champions. Along with being a talented competitive shooter, Anette has her own Gun Blog, 30CalGal.com, and she writes for several gun publications including GunUp Magazine, Shooting Sports USA, Sure Shots Magazine, and Wide Open Spaces. She also designs and crafts custom jewelry items, sold through her AW Collections webstore. Share the post "Competition Tips: 30CalGal Talks about ‘The Mental Game’"